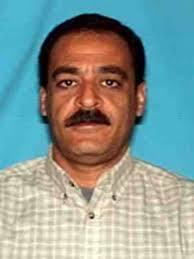 Meet Yaser Abdel Said, the latest addition to the FBI’s Ten Most Wanted list. The 57-year-old is a suspect in the brutal New Year’s Day murders of his two teenage daughters, CBS News reports. The girls, ages 17 and 18, died after being shot multiple times in the back of a taxi in Irving, Texas. Said was born in Egypt, and his whereabouts are unknown. Posted: 12/5/14 at 9:08 AM under News Story.